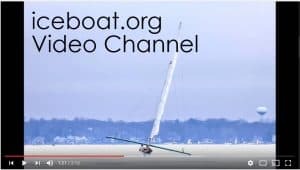 Iceboats are being pulled out of the rafters around North America. This Faceboook video with some bonafide Hollywood Ice© is from Bill Dwyer in Lake Lotawana, Missouri, a suburb of Kansas City. How much farther south can ice be found?